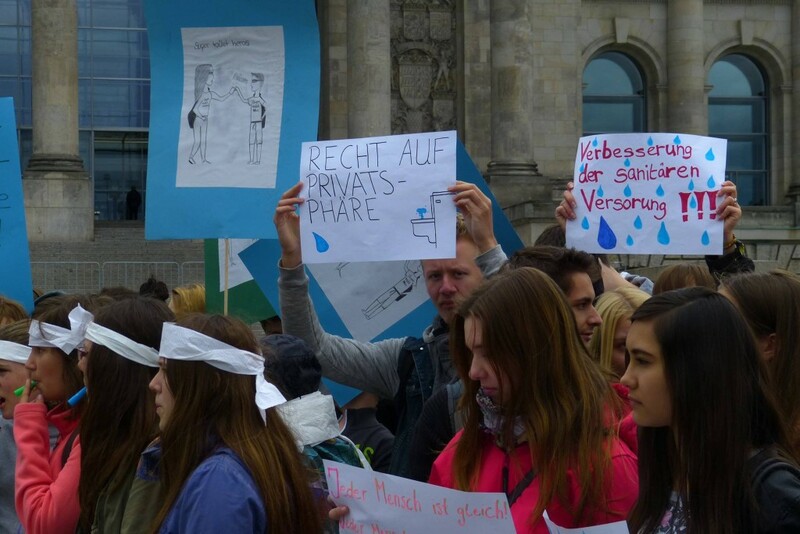 On the occasion of the International World Refugee Day 2015, 150 Berlin students demonstrated against the inhumane sanitary situation in wars and crisis regions. Students in Berlin who demonstrated against the inhumane sanitary situation in wars and crisis regions. The students raised awareness of the situation of refugees with posters and slogans! Some students were selected as “toilet-woman” and “toilet-man” and guided the demonstration as toilet-super-heros! After a press conference and the demonstration, Frank Heinrich, member of the German parliament, acknlowledged the commitment and effort of the students.